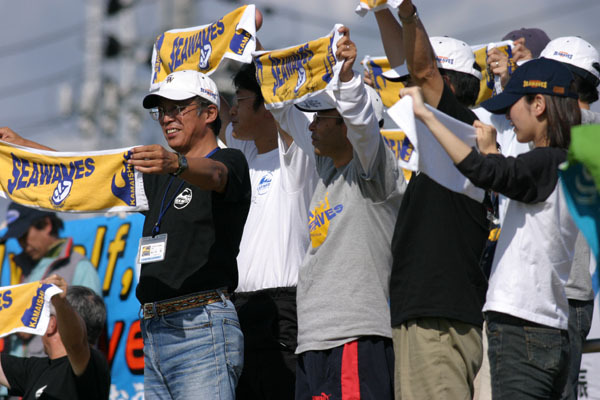 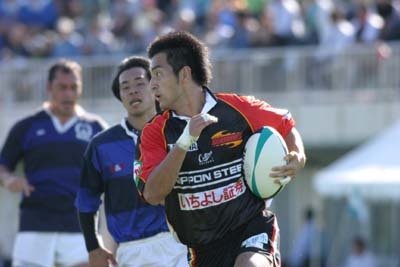 Kurita sinks in the "Sea"
Reserves and off-duty players practice at the other side of South park. 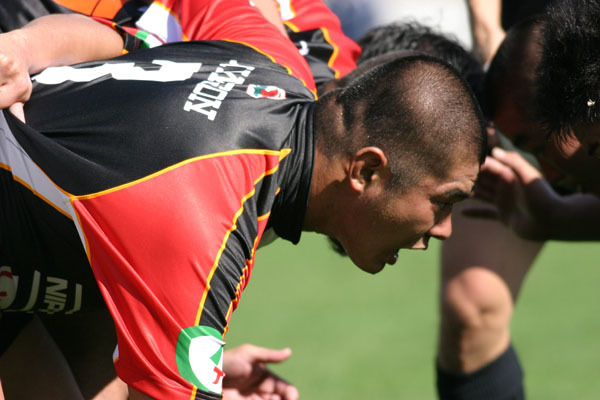 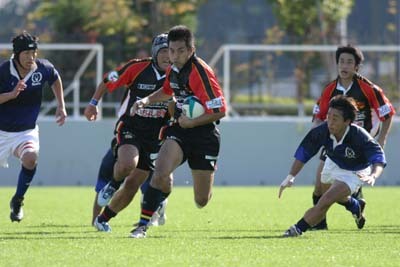 Skipper Ikemura and tight-head prop Tamura were chosen to Japan Select. 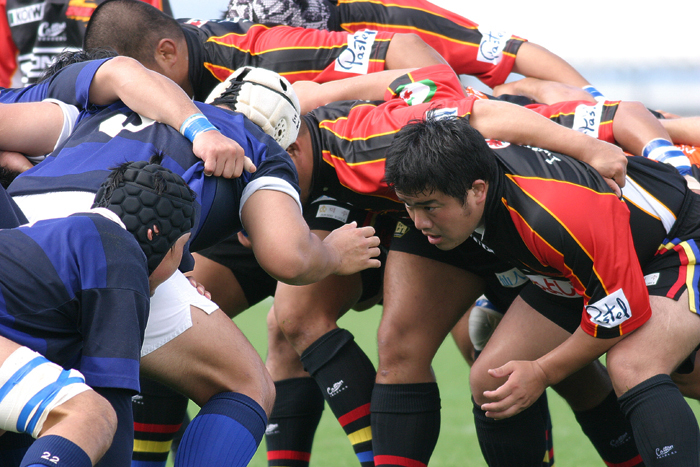 They will play 19th Asian Rugby Football Tournament in Hong Kong from Oct. 27 to 31.
show off the scarves to cheer for the Seawaves. 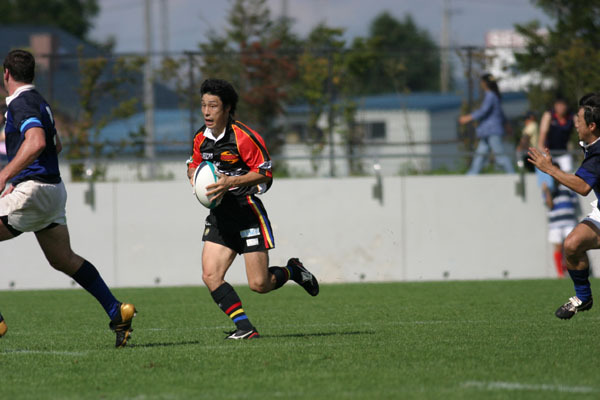 It seemed that Kurita's eight were pretty mighty, but it was our pack that kept dominance. 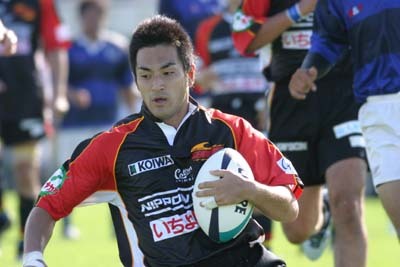 My "Man of the match" goes to Loosehead Tetsuya Asada who scrummaged very well this afternnon. 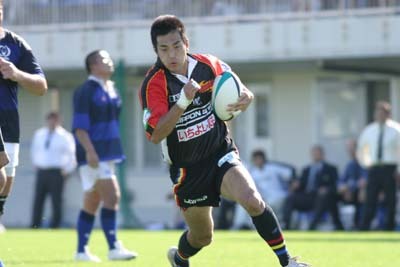 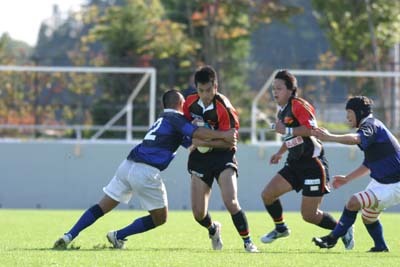 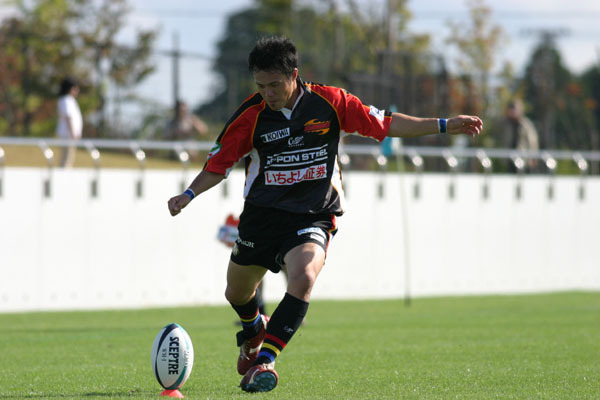 And the moment of the game should be Fly-half Daiki Echizenya's solo try.